Chose the wrong option. What to do? I chose the option port my existing phone# to Ooma while activating it. But then, I didn't realize I'll be moving in 2 weeks, so I won't have enough time since the porting process will take a few weeks. I now just want to pick a new number instead. Is there anyway to 'reset' it? Re: Chose the wrong option. What to do? I have a similar question. I asked to port my number (since it is going dead with AT&T Callvantage very soon) and then couldn't get the unit to work yet. Is it possible for me to choose a new number, get my unit working, and still preserve my number transfer? mc674 wrote: I have a similar question. I asked to port my number (since it is going dead with AT&T Callvantage very soon) and then couldn't get the unit to work yet. Is it possible for me to choose a new number, get my unit working, and still preserve my number transfer? I selected to use ooma without a land line. I selected a temporary number in my area code. When the port was complete, the ported number replaced the temporary number. I got my new number after calling Omma and now the hub is up and running. I can make and receive phone calls, but Internet doesn't work when I connect Ooma to my wireless router. Anyone has any idea? PS: I have no problem when my laptop connects directlyto the hub. Update: Problem solved. Simply turned off all the devices and power them in this order: Modem>Hub>Router. Now, I'm going to disconnect my landline. 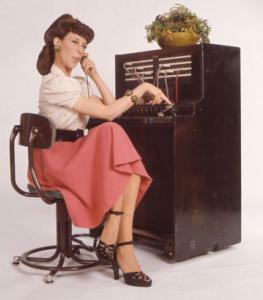 If you are going to port your land line number, do not cancel land line service. If you do cancel, you will lose the number. When the port is complete, the land line account will be automatically canceled.